All ions, such as electrons, are electrically charged particles sensitive to the influence of positive and negative terminals of a battery. - Cations are positive and therefore move towards the negative terminal. - The anions are negative and therefore move towards the positive terminal. 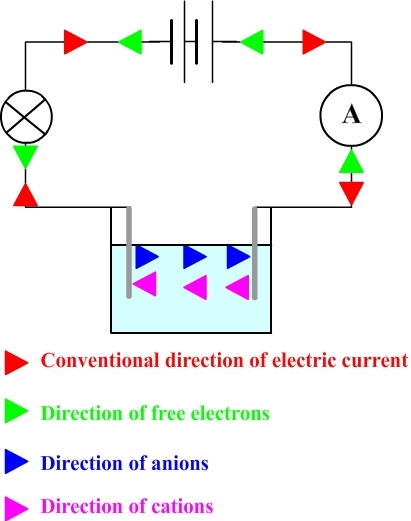 When an electric current flows across an aqueous solution, cations and anions move in opposite directions.